I didn’t fall off the face of the Earth. I just felt like I had. First of all, this past week was my last spent selling cell phones. After AmeriCorps ended, after I’d hiked New Hampshire’s 4000-footers, and after the tree planting crew I’d been on in Vermont was done planting for the year, I’d returned to my family’s hobby farm in the Northern Bluegrass Region of Kentucky and been fortunate to find work at a local wireless store. I learned a lot, both about technology and about sales, and I’d feel competent asserting my customer service skills in a resume. However, my first foray into the world of retail was everything this highly sensitive introvert imagined it would be, and I’m glad to be able to have some time to think and breathe and work on the farm and see my family and friends and prepare for the Pacific Crest Trail. It will also be nice to reenter the blogosphere. If I’m honest with myself, part of the reason that I have been reluctant to blog is because I’ve been reluctant to think about the PCT at all. And, I’ve been reluctant to do that because I’m petrified that Lyme is returning. My PCP (who has Lyme herself) in Massachusetts warned me that Lyme never really disappears; rather, it goes into remission. Everyone I know who has had Lyme insists that, like a trumpet vine plant (or kudzu? ), the bacteria that cause Lyme never really, completely, utterly, die out in a person. I just wanted to imagine that this remission would last a nice long time. Maybe it will. But, like anyone who deals with a chronic disease that ebbs and flows knows, every unexplained health issue starts the flood of questions and worry. Are my leg muscles twitching because I need more sodium? Are my knees sore because I’ve been standing on concrete too much? Are fluorescent lights to blame for my headaches? Am I excessively tired just because I’m stressed? I’ve got a doctor appointment tomorrow, so perhaps that will make things better, either with explanations or with Doxycycline. First, I’ve been speaking at meetings around Kentucky lately, both at Lyme groups and at churches. I’m presenting for the Kentuckiana Lyme Support Group’s monthly meeting next week. It’s been interesting to talk with people about my hikes and experience with Lyme and listen to their stories in return. 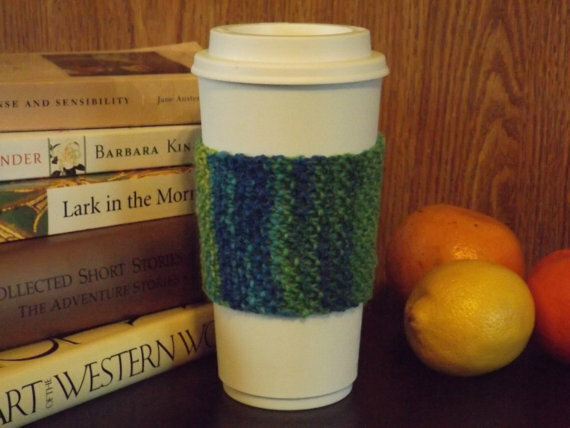 Second, my amazing sister is supporting my hike of the PCT for the International Lyme and Associated Diseases Society with a cup cozy that she’s selling on her Etsy shop. If you’d like to drink coffee or tea in style, check out Kelly’s store.